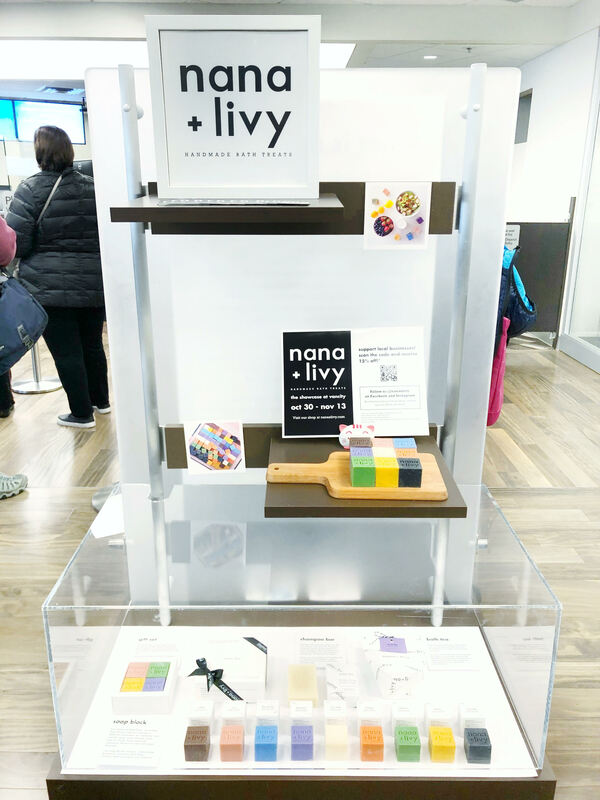 At Nana+Livy, we are thrilled to be given the opportunity by Vancity Savings Credit Union to showcase our products in their Community Showcase from October 30 – November 13, 2018! Vancity is a member-owned financial co-operative headquartered in Vancouver and it is one of the largest community credit union in Canada. Vancity focuses not only on its members’ financial well-being but also measures success by its contribution to the social and environmental well-being of its members’ communities as well. As such, they have set up Community Showcases across their branches to support and feature local businesses like us! 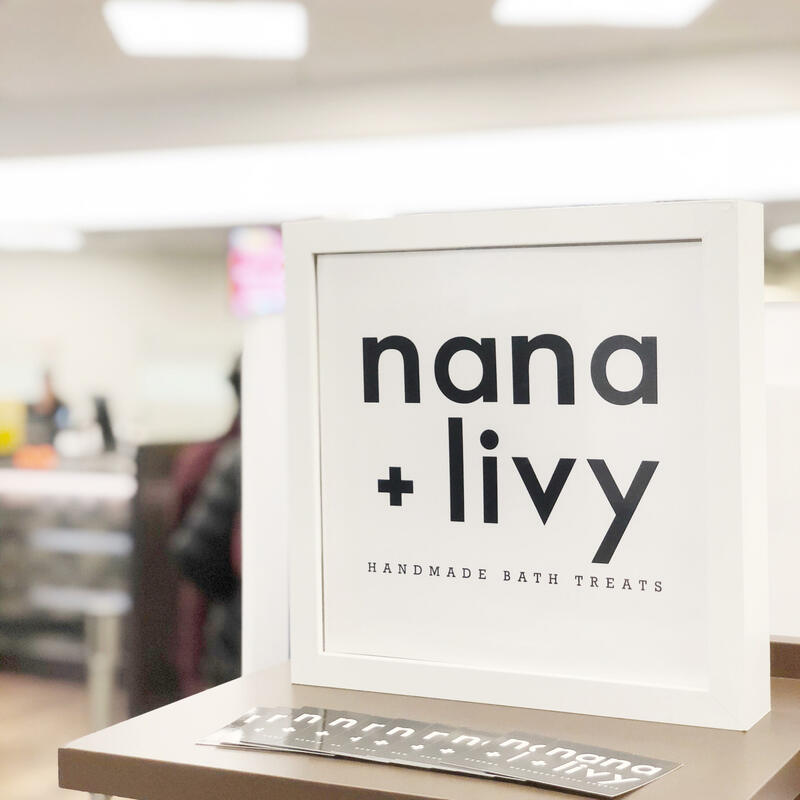 Nana+Livy was fortunate to be contacted by the Hastings Community Branch after Carissa, the concierge at this branch, came across our Instagram and fell in love with our bath treats! 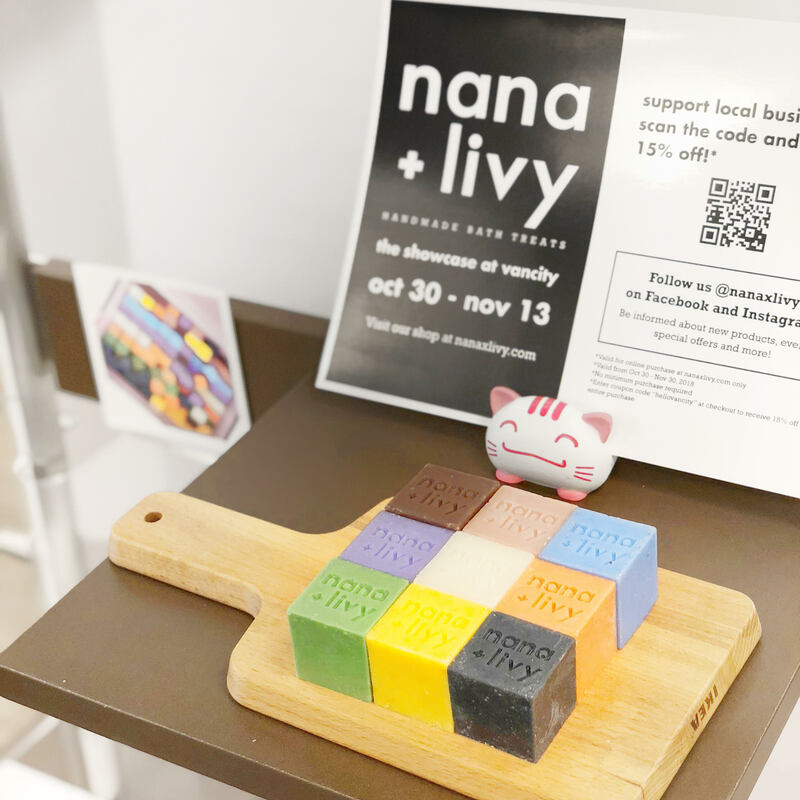 This is an excellent opportunity for us to partner with VanCity as we at Nana+Livy also share the belief that local businesses are the building blocks of British Columbia’s economy and are essential to the flourishing of our communities! Therefore, we are giving back to the community. We have recently donated some products to Moms Connect of Peace Portal Alliance Church in Surrey which provides baskets of goodies to help new moms and babies in need. Our products will be on display at 2510 East Hastings Street in Vancouver for a period of 2 weeks starting October 30, 2018. Through the display, we hope that members of Vancity can learn more about our company’s products and the inspiration behind our work. 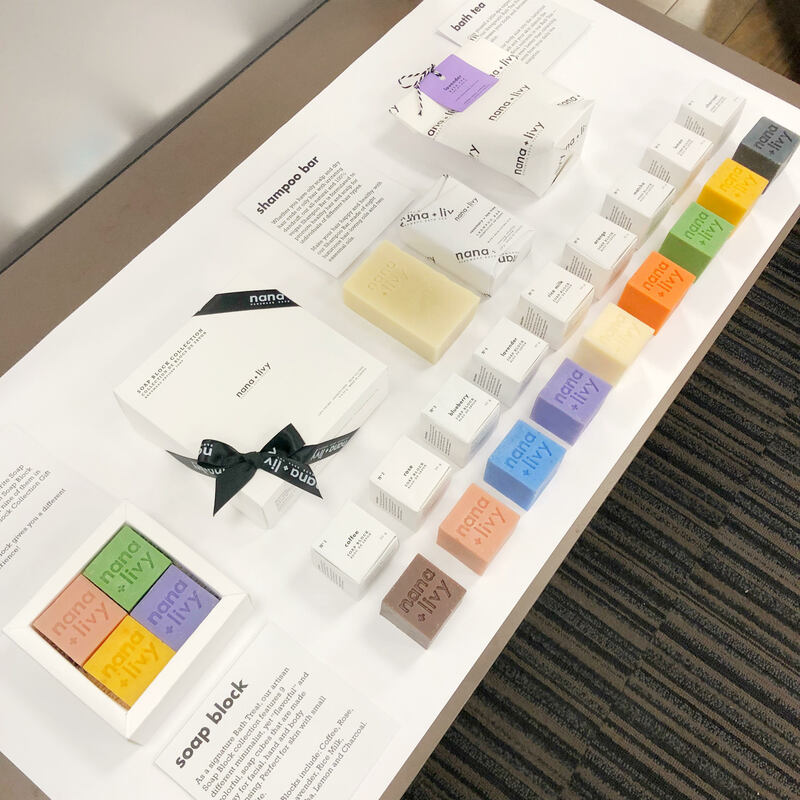 Members are free to touch and smell our signature Soap Blocks which come in 9 different scents (coffee, rose, blueberry, lavender, rice milk, orange, matcha, lemon, and charcoal) to see which one they enjoy the most! Other products such as Rosemary + Tea Tree Shampoo Bar, and bath teas will also be featured. Spoiler alert! We also will be offering a 15% discount to those who scan our coupon code at the Showcase! This is for a limited time offer only so don’t forget to visit us at Vancity!